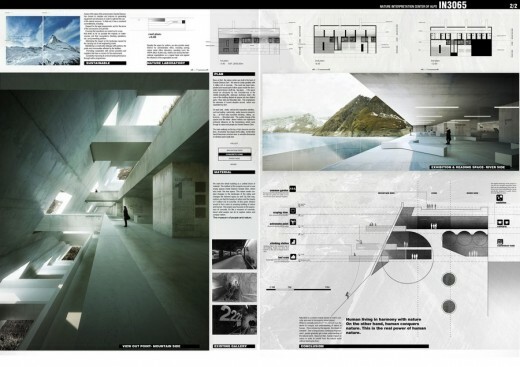 The winning proposals will be published in the international Magazine Future Arquitecturas. 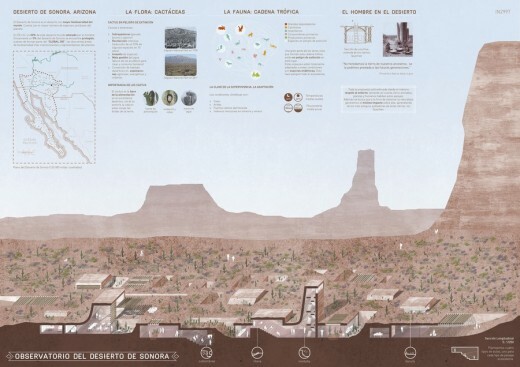 OPENGAP organizes the second edition of this open ideas competition seeking for innovative, cutting-edge, contemporary, proposals, committed to a strategy of implementing architecture in a protected natural environment. Approaches should point to find synergies between nature and the building itself. 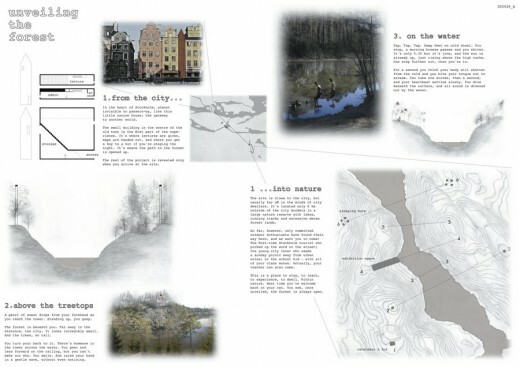 Participants are invited to find spaces that promote a deep understanding and assimilation of nature. Projects must lead through their architecture to sensitivity, awareness, understanding, enthusiasm and commitment to the natural environment around them. Each participant or team will define the location of their Project; such as: natural parks, protected natural areas, forests, jungles, beaches, mountains, etc. However, the proposal must justify the choice of the location and the interaction reached between the project and the site’s environment. The proposal submission will consist of two digital panles in .jpg format, not bigger than 4MB each. OPENGAP organized this open ideas competition seeking for innovative, cutting-edge, contemporary, proposals for indoor, non-comercial leisure spaces. Participants were invited to submit their proposals for a new type of indoor public space that respond to the present social needs, integrated in an urban site. Each participant or team could define the location of their Project. 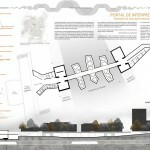 However, the proposal had to justify the choice of the location and the interaction reached between the proposal and the context. It is a project that facilitates the conversion of large existing infrastructures, like structures not being used even before of being finalized, due to the economic situation. The project brings together accurate reflections on each of the issues raised in the competition program, where a social and economic program, a recovered public space for the citizens find a place to be developed, through simple spatial architectural operations. 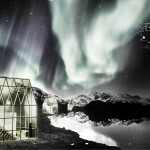 Noteworthy is the decision to locate the project in an environment of these characteristics, betting on an interesting form of colonization of an existing structure. 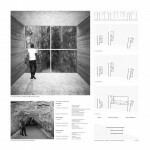 It is a project that prioritizes a strategy around a closed form, which is the support of other minor pieces, which bring together various activities as per the environment where it is located. It enables a range of syntactic relationships between pieces through drawing, letting the observers to interact. 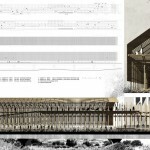 It is able to demonstrate that the drawing is an “instrument of thinking” that doesn’t need realistic formalizations for transmitting the architecture. 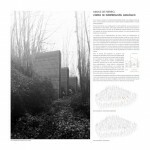 The proposal develops a critical reading of the urban commercial scheme, to solve the requirements set by the competition program uniquely and strategically, by reusing existing spaces and the development of a network of micro-interventions. Although the idea could have been developed more in detail, its ability to propose has been highly valued. 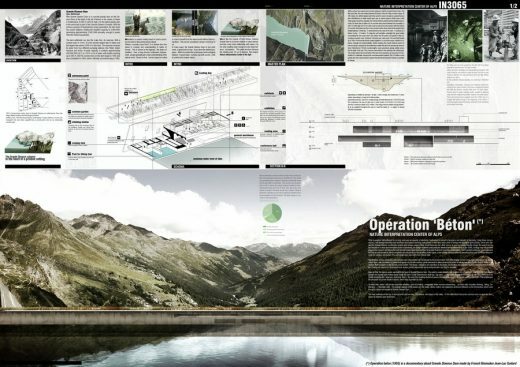 OPENGAP organized this open ideas competition seeking for innovative, cutting-edge, contemporary, proposals, committed to a strategy of implementing architecture in a protected natural environment. Approaches should point to find synergies between nature and the building itself. 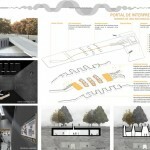 Participants were invited to find spaces that promote a deep understanding and assimilation of nature. Projects lead through their architecture to sensitivity, awareness, understanding, enthusiasm and commitment to the natural environment around them. Each participant or team could define the location of their Project. 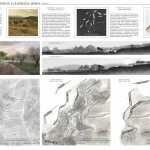 However, the proposal had to justify the choice of the location and the interaction reached between the project and the site’s environment. The proposal covers all aspects of the competition in an intelligent, original and surprising way. 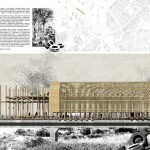 The project goes beyond the architecture and interacts actively with its context. The time factor is involved in the proposal as a key aspect with fascinating results. The idea is not only committed to having a positive impact on the environment through the years, but also to creating a virtual window that allows users to infer the importance of the project going beyond the present state of the site. It provides an unprecedented architectural figuration halfway between the industrial and the ephemeral, resulting in a strange, original beauty. It is brave and rigorous in its research on waste treatment technology that makes productive argument of the proposal: the debated “leaching” of great interest to the jury. 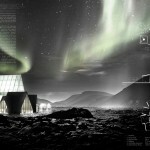 This is a great idea that explores the boundaries and paradigms of architecture. 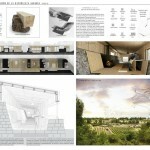 It is remarkable how the project itself expands its own scope and possibilities through a daring and original concept. The project is not just born from an imaginative compelling and inspiring idea, but also offers a convincing and original development of the requirements in the architectural program. 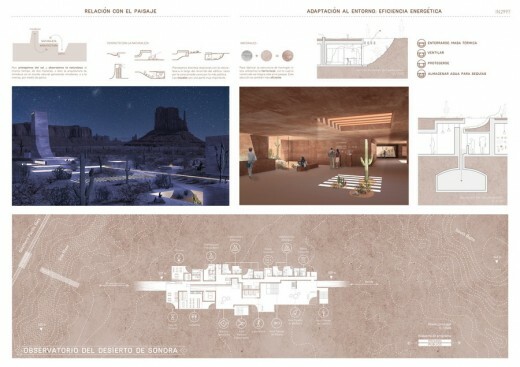 It is very remarkable the figurative and architectural quality of the proposal, creating a bold language and impeccable constructive resolution of it. The effort shown is consistent with the high level of risk of the proposal. The concept of roaming architecture is also fascinating, with “docking” stations which, like the itinerary of the “airborne observatory” are subject of careful design. 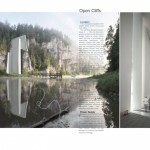 The jury highlights the stunning beauty of the image of a building immersed in a waterfall. This huge structure and formal gesture has been perceived as very strong and exceptional. The project has a strong presence on the site but also blends in a very attractive way with the envirnoment. Open ideas competition seeking for innovative, cutting-edge, contemporary, proposals, committed to a strategy of implementing architecture in a protected natural environment. 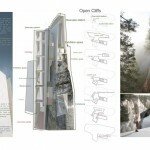 Approaches should point to find synergies between nature and the building itself. 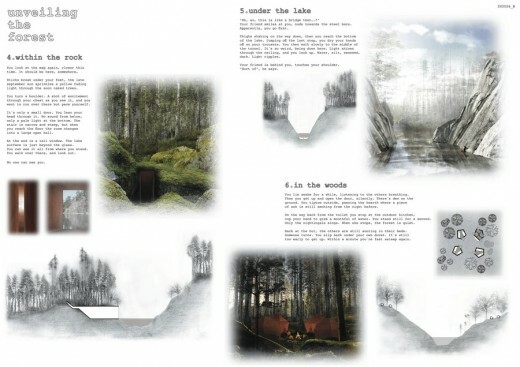 Participants are invited to find spaces that promote a deep understanding and assimilation of nature. Projects must lead through their architecture to sensitivity, awareness, understanding, enthusiasm and commitment to the natural environment around them. The competition is open to all architects, designers, architecture students and to people around the world interested in the topic. Competitors can subscribe individually or as a team of maximum of 5 people. The proposal submission will consist of two digital images in .jpg format, not bigger than 4MB each. May 28, 2014 in Competitions.